By Brian Lokker. Published May 15, 2014 , last updated March 21, 2019. 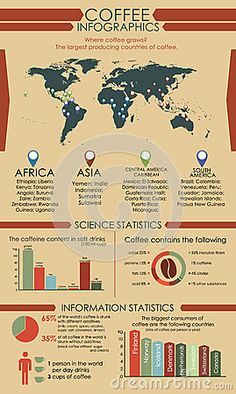 Do you drink coffee when you fly? The quality of airline coffee can vary substantially, but the trend, at least among the major air carriers, is towards more gourmet coffees. This guide to the coffee served by the major U.S. passenger airlines will show you what kind of coffee to expect when you fly. 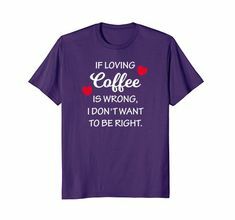 If you love coffee, you’re probably more discriminating than other people about the coffee you drink. 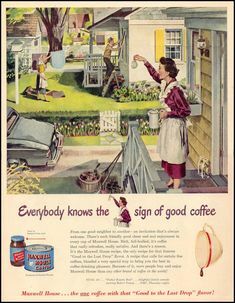 You most likely choose high quality brands for the coffee you drink at home. Maybe you have a favorite roast. 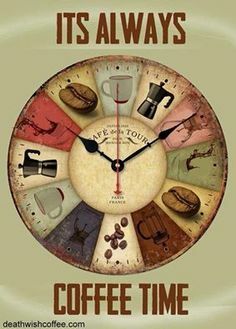 Maybe you use a brewing method that you think produces the best taste. 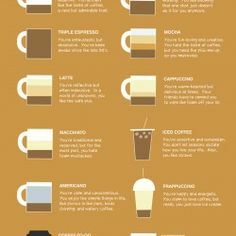 You probably have a couple of favorite coffee shops too. Whether you prefer an independent local coffee shop, a large national chain, or a specialty coffee retailer somewhere in between, you know what you like. And when you travel, you look for good coffee wherever you go. But what about when you fly? When you’re several miles up in the air, you don’t have a coffee choice. Whatever coffee the airline serves is what you drink. 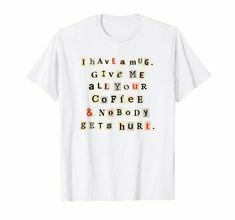 Or else you don’t get coffee. You’re probably not going to choose your airline based on the coffee it serves. 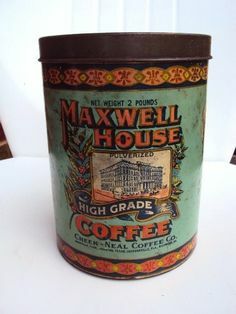 But you might find it helpful to know in advance what you can expect from the airline’s coffee service. American Airlines, headquartered in Fort Worth, Texas, merged with US Airways effective January 2014 to create the world’s largest airline, flying to more than 330 destinations throughout the world. Since late 2010, American has been serving a Rainforest Alliance Certified™ blend of 100% Central American Arabica coffees from Sacramento, California’s Java City, Inc. Java City describes the coffee as a dark roast with a nutty flavor and a subtle hint of smokiness, similar to its commercially available Vienna Roast. Chicago-based United Airlines flies to 78 destinations in the United States and provides worldwide service to Asia, Australia, Africa, and Europe. When United completed its merger with the former Continental Airlines in 2012, both carriers’ coffee vendor contracts were expiring (including United’s contact with Starbucks). United conducted blind taste tests to find a new coffee and decided on a Hawaiian Kona blend. The renowned Kona coffee is grown only within the Kona district on Hawaii’s Big Island. Hawaiian agricultural regulations specify that coffee may be called “Kona blend” if it contains at least 10% Kona coffee beans. United has not released specific information about the makeup of its Kona blend coffee. Southwest Airlines, based in Dallas, Texas, serves almost 100 destinations in the United States and Puerto Rico and several nearby countries. As of March 1, 2016, Southwest serves Community® Signature Blend coffee, a 100% Arabica blend from Community Coffee Company, the largest family-owned and operated retail coffee company in the United States. Southwest serves the coffee in co-branded eco-friendly paper cups. 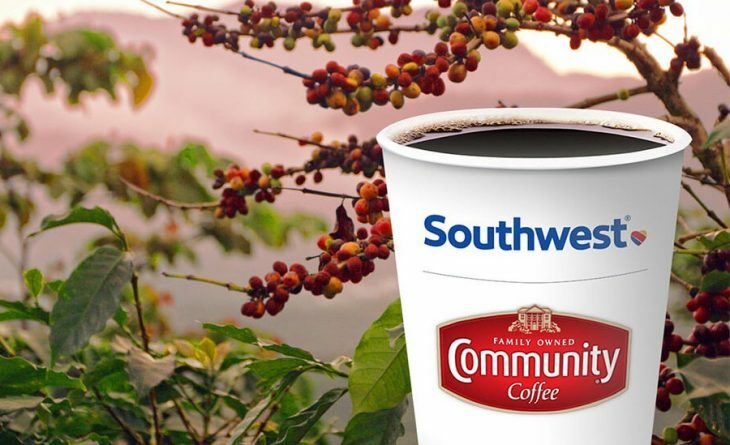 The airline’s coffee service also has a charitable tie-in: Southwest partners with Community Coffee to donate money to the ECOM Foundation in order to support educational programs for the children and families of coffee producers in rural Mexico where Community Coffee’s Arabica coffee beans are grown. JetBlue Airways flies to more than 80 destinations throughout the United States, the Caribbean, and Central America. 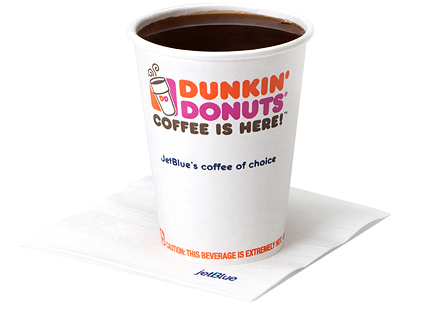 JetBlue began serving Dunkin’ Donuts® coffee on all of its flights in 2006 in response to a survey of its passengers. 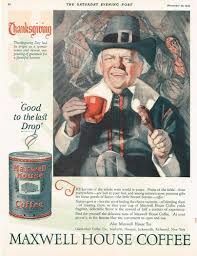 One-third of the carrier’s customers thought that the coffee JetBlue was then serving was worse than the coffee they drank at home, and most also identified coffee as the onboard beverage that they would most like to improve. Dunkin’ Donuts, headquartered in the Boston area, has its strongest presence in the northeastern U.S. JetBlue serves Dunkin’ Donuts® Original Blend coffee, brewed from 100% Arabica beans from Central and South America, as well as Dunkin’ Donuts® decaf coffee and several tea choices. 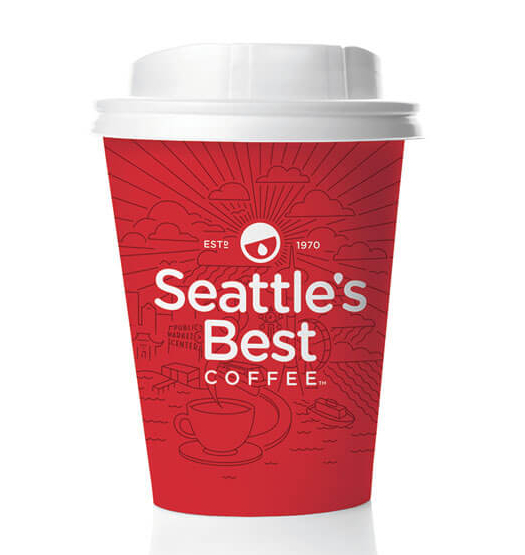 Seattle-based Alaska Airlines, which flies to more than 90 cities throughout the United States, Canada, and Mexico, has been serving Starbucks® Pike Place® Roast to its passengers since 2012. Alaska Airlines’ partnership with Starbucks, also based in Seattle, is consistent with its policy of offering high-quality, locally produced food and beverages. Starbucks introduced its Starbucks Pike Place Roast Medium Roast Coffee in 2008. It is a blend of Latin American coffees that is designed to provide a consistent and harmonious coffee experience at any time of the day. Based in Florida, Spirit Airlines is a no-frills airline that promotes its Bare Fare™ unbundled pricing system. No complimentary drinks or snacks are offered. The airline sells coffee for $2. It serves Brisk RCR Arabica coffee from family-owned, Florida-based Brisk RCR Coffee Company. 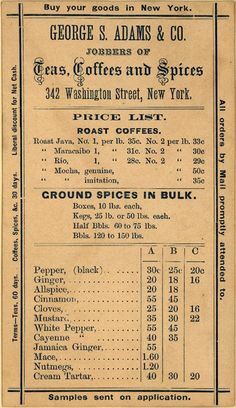 The RCR Arabica is a medium-bodied, medium/dark roasted Central and South American blend. Hawaiian Airlines offers service to Hawaii from 11 cities in North America, as well as flights from Asia, Australia, New Zealand, and other Pacific islands. Since 2012, passengers on domestic flights are given an authentic Hawaiian inflight experience with Hawaiian Airlines’ signature ‘Mea Ho’okipa Service‘ (loosely translated as “I am host”). The airline provides complimentary island-style meals and Hawaiian-grown Kona coffee (unfortunately, the brand is unspecified). For coffee-drinking U.S. travelers, airline coffee service seems to be getting better, at least on the major carriers. Most of the airlines are now serving high-quality national brand or specialty coffees or their own proprietary blends. 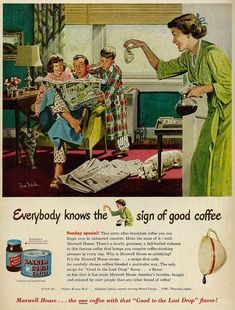 Of course, the beans are only part of the story when it comes to a great cup of coffee. Water quality, freshness, brewing method, and other factors all enter in. 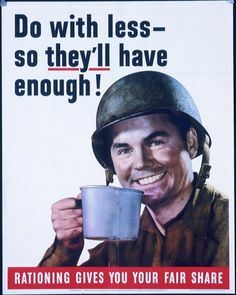 And there’s no question that it’s just harder to serve consistently good cups of coffee to several hundred plane passengers than it is to maintain quality in a neighborhood coffee shop. Airline coffee quality still varies widely. What do you do when you’re flying on an airline whose coffee is mediocre or worse? 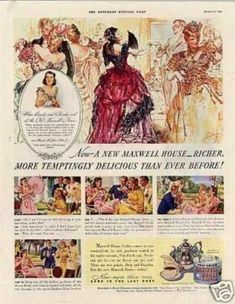 Do you switch to tea or a Coke®? Or maybe something stronger? 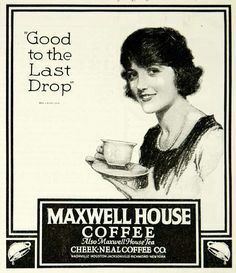 Or do you follow David Lynch’s maxim that “even a bad cup of coffee is better than no coffee at all”? The list of airlines comprises the national passenger air carriers that the U.S. Department of Transportation classifies as Group III carriers (over $1 billion in operating revenues), as of January 1, 2014. Group III regional carriers and freight carriers are excluded. See United States Department of Transportation, Research and Innovative Technology Administration, Bureau of Transportation Statistics, “Air Carrier Groupings”. 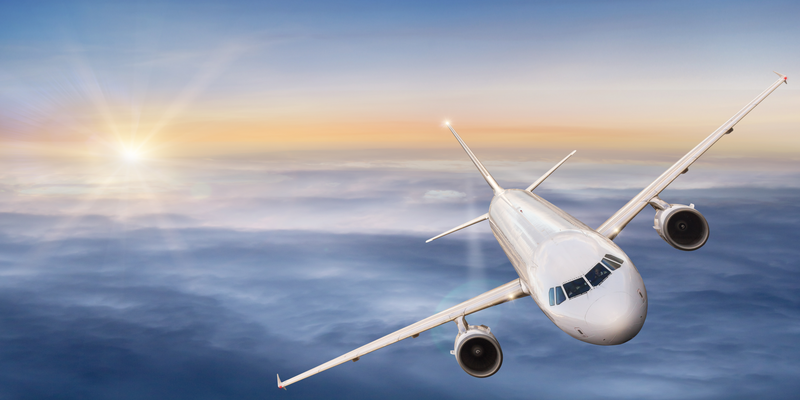 Note that the DOT list also includes US Airways and Air Tran Airways, but they are excluded from the list in this article because they have been merged with other airlines on the list. As mentioned in the article, US Airways has merged with American Airlines. Air Tran Airways merged with Southwest Airlines in May 2011, although the integration of Air Tran into Southwest will not be completed until October 2014. Update: As of the original publication date of original publication, Virgin America was #10 on the list. Alaska Airlines announced its acquisition of Virgin in late 2016 and integrated Virgin’s operations into Alaska Airlines in 2018. Thanks for providing the Spirit Airlines information, which I hadn’t been able to locate. I’ve updated the article to reflect the new information. Just had the unpleasant experience of asking for coffee on anAmerican Airline flight. It was so vile , could only wet my lips. Undrinkable. Sorry to hear that your experience with American’s coffee wasn’t good. I haven’t flown on American for several years. I’d be curious to know what others think. 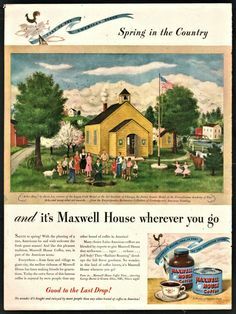 Excellent and decent post, I found this much informative, as to what I was exactly searching for. You have described almost all famous airlines. 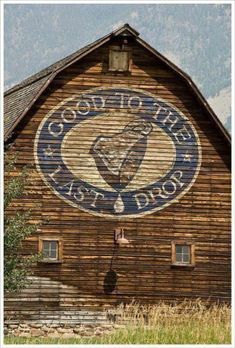 I like the line “High Quality Coffee at High Altitudes”. Thanks for such post and please keep it up. 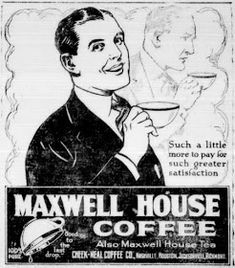 Responding to your article on airline coffee. 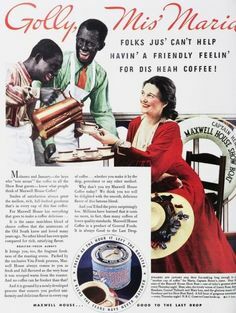 Just a heads up I work for American Airlines as a flight attendant an the coffee is vile. 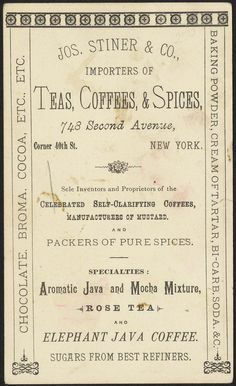 American has not served Java City coffee for awhile now. 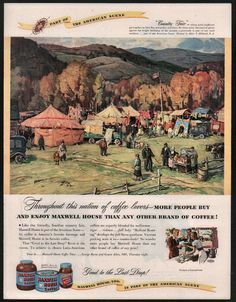 Since the merge with US Airways they have been serving Coffee House Roast coffee never heard of it and definitely nasty tasting coffee. Hopefully someday American will offer something nicer for the traveling public. I haven’t been able to confirm your information that American has switched from Java City coffee. 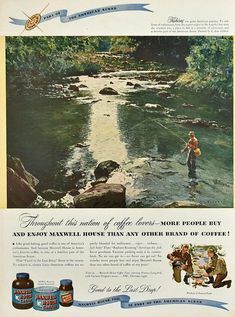 And as I’ve mentioned in a previous comment, I haven’t flown American for a while, so I can’t comment about the taste of American’s coffee from personal experience.